PetroFlo XO 25W-60 is a natural high viscosity index, super performance engine oil that provides excellent protection for Gasoline and Diesel engines operating in severe service applications. Vehicles with higher mileage can incur greater wear and tear leading to lower compression and higher oil consumption. This can cause loss in performance and premature engine failure. 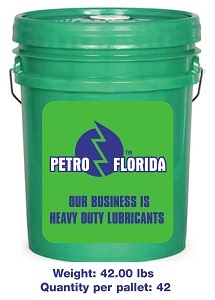 PetroFlo XO 25W-60 is thicker than ordinary oils and contains extra anti-wear agents. These reduce oil leaks and slow down engine wear to help protect and prolong the life of the engine. 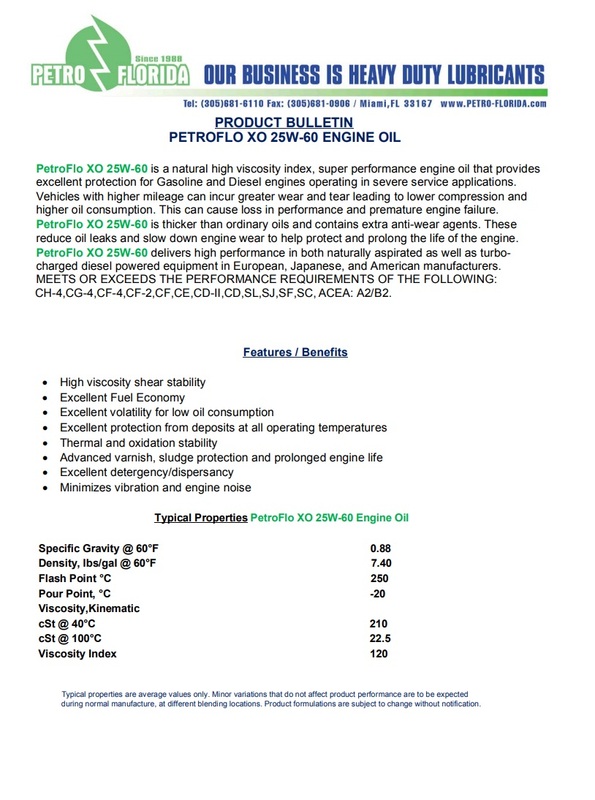 PetroFlo XO 25W-60 delivers high performance in both naturally aspirated as well as turbocharged diesel powered equipment in European, Japanese, and American manufacturers. MEETS OR EXCEEDS THE PERFORMANCE REQUIREMENTS OF THE FOLLOWING: CH-4,CG-4,CF-4,CF-2,CF,CE,CD-II,CD,SL,SJ,SF,SC, ACEA: A2/B2.